Why is Pentecostalism Popular in Latin America and Elsewhere? I was looking for a book about Pentecostalism and its history and theology. I wanted to get something from a sympathetic perspective. I found it with this volume. 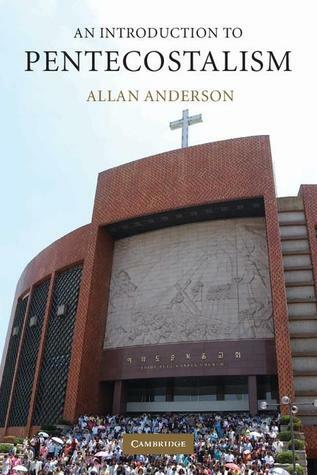 Allan Anderson is a former Pentecostal pastor and apparently a global authority on the subject. He seems to know what he’s talking about. This does explain a lot. To put it in my own words, Pentecostalism is popular in part because it accommodates other religious traditions. Pentecostalism is popular partly because it assimilates pre-Christian religious expressions and symbols. At least some Pentecostals believe the Holy Spirit is living and active in non-Christian religions. If we take Anderson’s word, Pentecostalism does something like what the Roman Catholic Church did in Latin America and elsewhere. The Roman Catholics took a pagan goddess and transformed her into Our Lady of Guadulupe. Today this is widely applauded as a form of contextualization. Unfortunately, that word is often a euphemism for syncretism. Interestingly, in the previous chapter, Anderson bemoans a previous generation of Pentecostal missionaries who regarded non-Christian religions as wicked paganism. Therefore, in an earlier period, it appears there was inconsistency in Pentecostalism on this point. Whether Anderson and Yong’s views are widely held in Pentecostalism today, I don’t know. What I do know is that the alleged holistic appeal of Pentecostalism mentioned in the first quote doesn’t seem to reach very far. In my estimation (based on my reading of this book and conversations with Pentecostals) Reformed theology and worldview is far more holistic than Pentecostalism, but it doesn’t carry the same cachet in Latin America and elsewhere. Why not? I think Anderson answers that question when he write this: “…as I have elsewhere observed, a criticism often justifiably levelled at Pentecostals is that sometimes a theology of success and power is expounded at the expense of a theology of the cross” (198). A theology of the cross never plays well for the crowds, and that’s at the center of the gospel as proclaimed in Reformed churches. If you want the crowds, promise them signs and wonders. If you want to pull in the masses, promise them experiences. Promise them padded bank accounts. Sadly, the trajectory of all this is what Michael Horton called Christless Christianity. I’m not writing a full review of this one. I just wanted to make a few comments. The central point of this book is to reconnect church and mission in the thinking and practice of Christians. That’s laudable and very necessary! And I think Horton succeeds in making his case. The discussion of contextualization in chapter 4 was outstanding. Horton notes how many Christians in other parts of the world “bristle at the suggestions, usually coming from Americans and Europeans, to develop a uniquely ‘African theology,’ ‘Brazilian theology,’ and so forth” (124). Horton offers insightful critiques of both contemplative spirituality and the emergent movement. There are a few places where some readers may put question marks: natural law, two-kingdom thinking (with an appeal to Abraham Kuyper! ), rejection of a Christian use of the imprecatory psalms, and so on. Still, overall, I enjoyed this volume and I think it’s a helpful contribution to the development of Reformed thinking about the missionary task of the church. Lately I’ve been thinking that many of Horton’s books start to sound the same. That’s why I put off reading this one for so long. 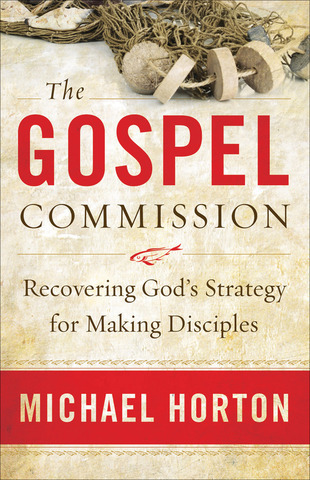 The Gospel Commission one has some similar themes to previous volumes, but there is a lot that’s new here. In fact, I’ll go so far as to say that this is one of the best Reformed books dealing with mission (not that there’s a lot to compare it to!). I’ve been slowly making my way through Michael Horton’s massive systematic theology The Christian Faith. The plan is to write a full-scale critical review for The Confessional Presbyterian. There’s certainly a lot with which to interact. So far, my impression (after nearly 650 pages) is mixed. There’s much good to be said, but also some frustrating aspects. For the details, you’re going to have to wait. Today I just wanted to comment on chapter 19, “Forensic Aspects of Union with Christ: Justification and Adoption.” Thus far this chapter is one of the best. Horton ably lays out the Reformed doctrine of justification and its biblical basis. He also interacts with critics of this doctrine, chief of whom is N. T. Wright. However, it is crucial to point out that it has never been the Reformation position that God’s righteousness is imputed. First, this assumes that righteousness is a substance or a commodity that is transferred from one person to another, rather than a legal status. Second, missing from Wright’s courtroom setting is the third party: the mediator who, as representative head, fulfills the law and merits for himself and his covenant heirs the verdict of “righteous” or “just” before God. Although the one who fulfilled the terms of the law covenant as the human servant is also the divine Lord, it is his active obedience rather than the essential divine attribute of righteousness that is credited to believers. (632). N. T. Wright pleads, “If Christians could only get this [doctrine of justification] right, they would find that not only would they be believing the gospel, they would be practicing it; and that is the best basis for proclaiming it.” Thus, the gospel is something to be done by us, not simply an astonishing and disruptive announcement of what has already been achieved once and for all on our behalf. Faith and holiness belong together, Wright properly insists, but the only way to keep them together, he seems to suggest, is to conflate them. (641). It’s no secret that I love books. Here in my study I often feel like I’m surrounded by good friends. In this series of posts, I’d like to introduce you to some of my friends, both the old ones from centuries ago and the more recent ones. I’ll describe their strengths and, where necessary, their weaknesses. The aim is to help you find good friends for yourself — in other words, to find edifying reading that will give you a better understanding of the Christian faith, a greater grasp of the gospel, and a deeper love for Christ. 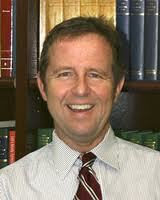 Michael Horton received his seminary training from Westminster Seminary California (WSC). He went on to receive a Ph.D. from Oxford. Since 1998, he’s been a professor of theology and apologetics at WSC. He is an ordained minister of the United Reformed Churches and his credentials are held by Christ United Reformed Church in Santee, California. He’s the editor-in-chief of Modern Reformation magazine and, as mentioned, host of the nationally syndicated White Horse Inn radio broadcast. He’s authored numerous books and articles and regularly speaks at conferences in the United States and around the world. Why is Michael Horton important? First of all, he grew up in a world distant from the Reformation. In later years, he discovered Reformation theology and became convicted of its biblical richness. Not all is well within Reformed churches, but Horton’s contribution is to point out that, rather than looking to what used to be called “evangelicalism,” we should look deeper into our own heritage. Because it is so oriented to the Bible, our confessional heritage has the resources for necessary ongoing reformation. Second, Horton writes two kinds of books: scholarly and popular. If you’re familiar with the scholarly stuff, you know that it’s the foundation for the popular. In both types of writings, he takes the Bible seriously and understands and emphasizes the centrality of the gospel of grace in Jesus Christ. Where do I start? I’ve read at least ten books by Michael Horton. My favourite is A Place for Weakness: Preparing Yourself for Suffering (previously published as Too Good to be True: Finding Hope in a World of Hype). I’ve given away numerous copies of this little book because of its realistic, biblical treatment of suffering. Another Horton must-read is Christless Christianity: the Alternative Gospel of the American Church. This is a jeremiad, lamenting and exposing the shallowness and emptiness of North American Christianity. It has a bearing on many of our Reformed churches too. We’re in no less danger of falling into a form of “Christless Christianity.” The third one that I’ll recommend here is A Better Way: Rediscovering the Drama of Christ-Centered Worship. In this one, Horton again exposes the problems with what passes for worship these days, but also outlines the biblical beauty of Reformed liturgy. Finally, there’s the classic Putting Amazing Back into Grace: Embracing the Heart of the Gospel. This is an excellent exposition of the doctrines of grace. What to look out for? There are three things that readers should know about Horton. These things come up occasionally in his writings and on his radio program, lectures, etc. The first is that he follows Meredith Kline’s reading of Genesis 1-2. In other words, he holds to the Framework Hypothesis. However, he is not a theistic evolutionist (the URCNA allows for the Framework interpretation, but not for theistic evolution). Second, his view of covenant theology may be unfamiliar and uncomfortable to some readers. In his book God of Promise: Introducing Covenant Theology, he again follows Meredith Kline. Like many Reformed people past and present, he holds to three biblical covenants: redemption, works, and grace. Though some might disagree with this covenant theology, it does fall within the parameters of the Three Forms of Unity. Moreover, it is arguably the classic Reformed view in many respects. Finally, as a matter of emphasis, in his ecclesiology (doctrine of the church), there is not a strong accent on the confessional categories of true and false. I especially noted this in his book People and Place: A Covenant Ecclesiology. Over the years, reading and listening to Michael Horton has been a great blessing for me and my ministry. Through him I became even more convinced that Christ and the gospel have to stand central in everything we do as church. Let me finish with a characteristic Horton quote: “A church that is deeply aware of its misery and nakedness before a holy God will cling tenaciously to an all-sufficient Savior, while one that is self-confdent and relatively unaware of its inherent sinfulness will reach for religion and morality whenever it seems convenient.” (Christless Christianity, 243). Christianity is not true because it works. In many cases, it does not work. That is to say, it does not solve all the problems we think it should solve. It isn’t a technique for our personal therapy, but the truth that God has overcome sin and death in the cross and resurrection of Christ. Those who became Christians because they were told that it would fix their marriages, only to find themselves in divorce court, might well give up on Christianity. Those who expected to be free of all their sinful habits, temptations and desires after a conversion in which sudden victory was promised may find themselves disillusioned with God altogether, when they realize they are still sinners saved by grace. At that difficult funeral of a pastor, friend, father, and brother in Christ who had ended his life of suffering, many people were wondering out loud, ‘If Christianity didn’t work for someone like Steve, how can it work for me?’ It is an honest question, an understandable question. But it assumes that Christianity fixes everything. It doesn’t fix everything, not at least here and now. It does promise that everything will be fixed at the end of history, but in this wilderness experience, we are on pilgrimage to the Holy City. Some pilgrims will find the journey much more difficult than remaining back in Egypt, in unbelief. Steve was not one of those pilgrims who turned back to Egypt. Others will bear their lot in life as best they can, and Steve and his wife were towers of strength to me in my own pilgrimage, as I watched them meet successive disasters by turning again and again to God and his gracious promise. But Steve was a pilgrim for whom the hike to that eternal city eventually became so heavy that he looked for a shortcut. With his godly wife, he was ‘longing for a better country’ (Hebrews 11:16), but was unwilling to wait. He did not accept God’s timing — and yet he still found a mediator who interceded for him at the Father’s right hand. He, with us, will receive the prize for which he hoped, even in weakness. Well said, Mike. Well said. And there’s far more like that in this book.